Events - Cardiff & District Law Society. 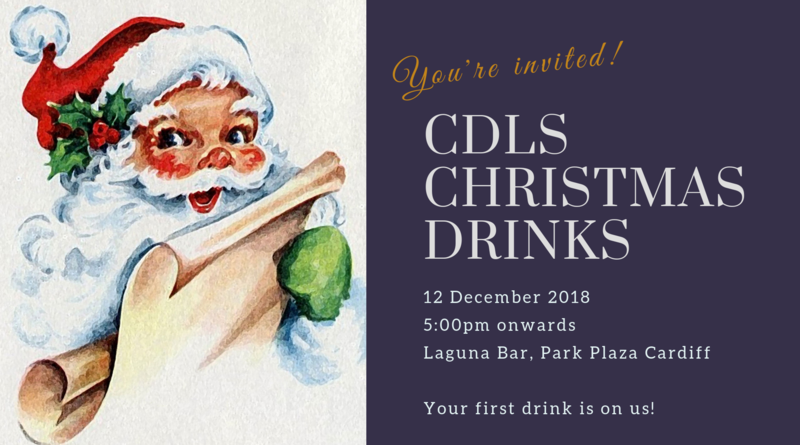 Join CDLS for a festive, informal drink on your way home - to catch up with colleagues, peers and friends at the Laguna Bar, Park Plaza Cardiff. FREE first drink for CDLS members. Click below to register - just so we know how much space to save at the bar!